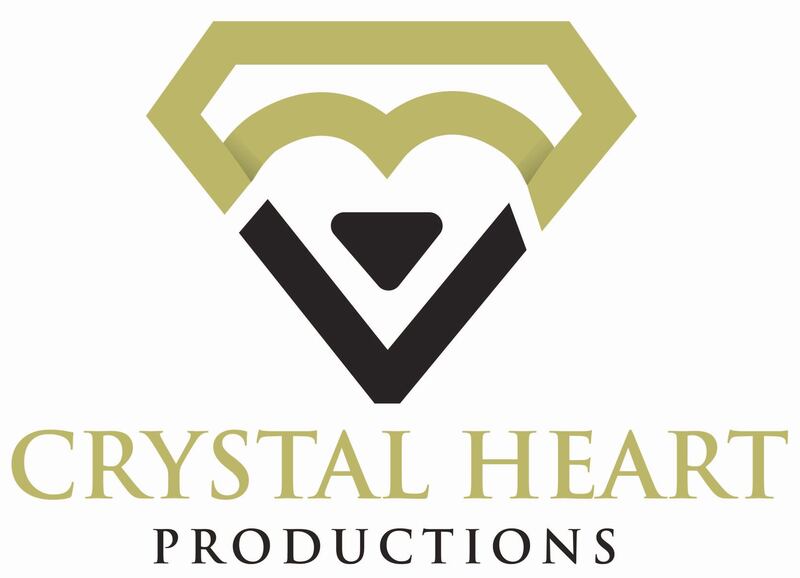 SYDNEY, January 25, 2019	(Newswire.com) - Angelena Bonet, of Crystal Heart Productions, has won a prestigious Award of Recognition from The Best Shorts Film Competition. The award was given for Bonet's music video "Break The Chain," which expresses the plight of women's oppression and her vision of liberation. 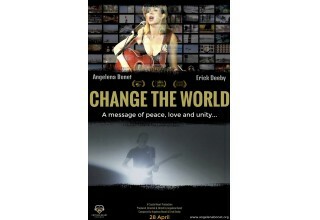 This music video features in her multi-award-winning documentary short film "Change The World." "I am unbelievably honored to receive this accolade from the Best Shorts. I'm not only humbled and grateful but dedicate this award to every other woman who has also endured this atrocity, as well as those who have then consequently been ostracized by their nearest and dearest for having the courage to speak out. My heart is with you all." Angelena Bonet is a warrior in the fight to end violence against women. With a fierce commitment to helping victims heal and take back their life, she brings to bear a multitude of talents, wisdom and personal experience. Violence and tragedy are not strangers to Angelena. In 2007, the love of her life and her fiancé suddenly and unexpectedly passed away. In 2012, Angelena was the victim of a violent crime in her homeland. Only from the depths of her despair and darkest days has she truly found her voice and the courage to share her experiences and to speak out about issues generally swept under the carpet by society. Angelena has multiple outlets for her commitment to supporting non-violence and health recovery. 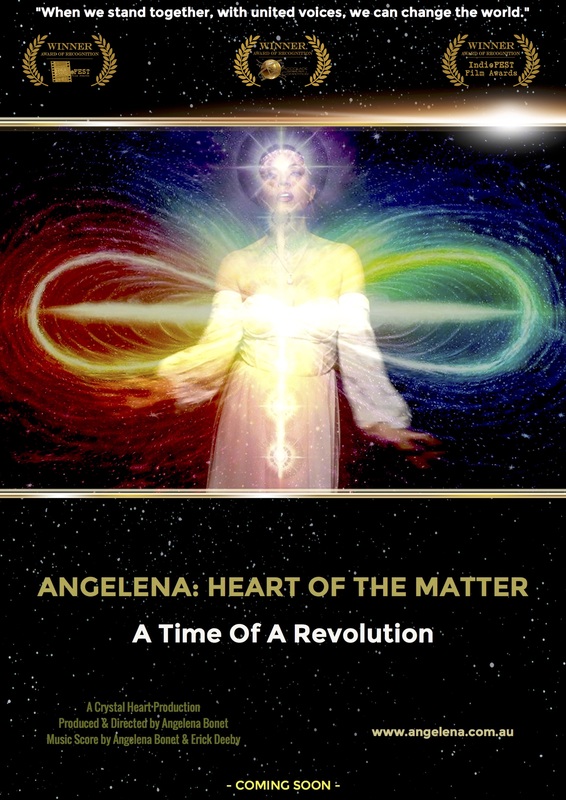 Bonet has produced two documentary feature films "Angelena: Change The World" and the sequel "Angelena: Heart Of The Matter," in their entirety chronicling her life to date, which have won 21 awards collectively in America thus far. Her protest music video "Break The Chain" features in her trilogy and sends a powerful message for women and girls all around the world. From Australian supermodel to multi-award-winning documentary filmmaker and singer-songwriter of her soundtracks, Bonet is a proud global advocate for women's rights. The Best Shorts Competition recognizes film, television, videography and new media professionals who demonstrate exceptional achievement in craft and creativity and those who produce standout entertainment or contribute to profound social change. Entries are judged by highly qualified professionals in the film and television industry. Information about Best Shorts and a list of recent winners can be found at www.BestShorts.net. 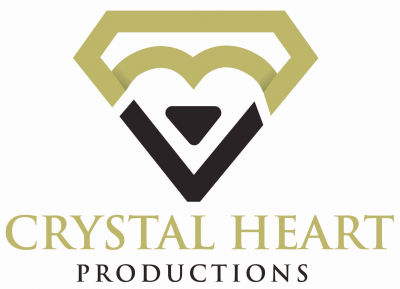 Angelena Bonet is Founder & CEO of Crystal Heart Productions and Crystal Heart Records. Multi-award winning documentary filmmaker and singer/songwriter, Angelena produces her work in its entirety. 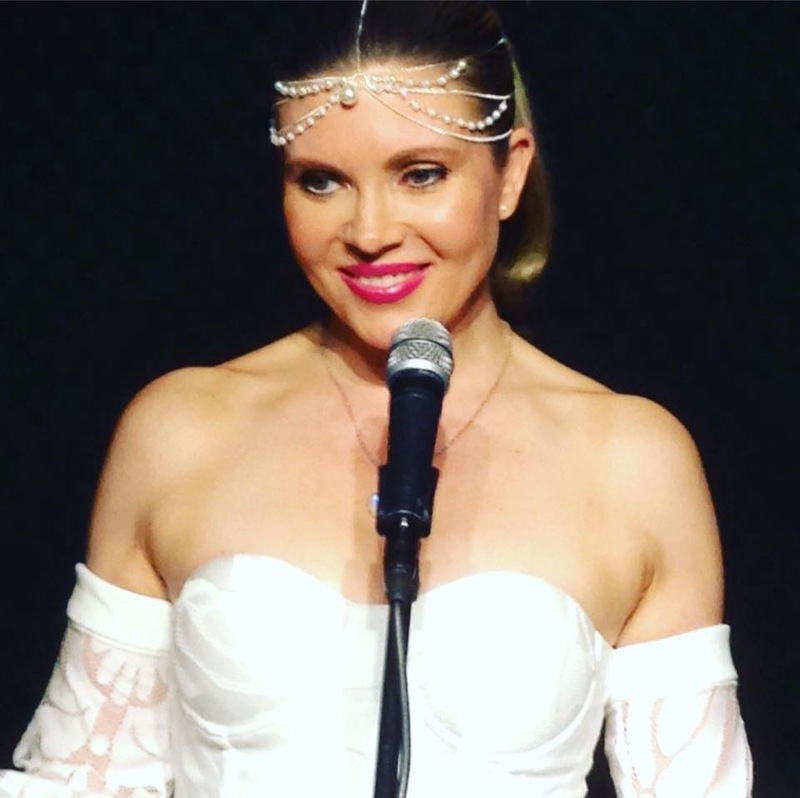 In her own words, she is "a one woman show!" Australian documentary filmmaker, singer-songwriter and humanitarian Bonet is 'changing the world' as she wins her 32nd award in America for her biopic and social justice documentary short film during International Women's Week. 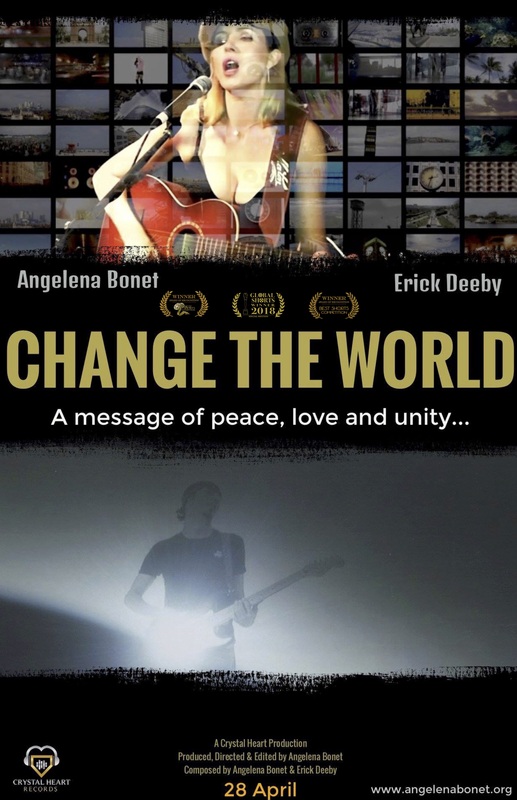 Australian documentary filmmaker, singer/songwriter and humanitarian, Bonet, wins her 24th award in America for her biopic and social justice documentary short film "Change The World". Bonet makes an 'impact' with her powerful documentary feature film "Angelena: Heart Of The Matter" as she wins another award in the U.S.